And now, we mourn the passing of the King of Pop. The young'uns might not know how big Jacko was during his time. After all, they wouldn't name him the King of Pop for nothing. Michael Jackson brought the moonwalk from the B-boy underground to the mainstream. He also has the best-selling album of all time, Thriller. This was the time before file sharing; when they said you've sold a hundred million records, you really sold a hundred million records. 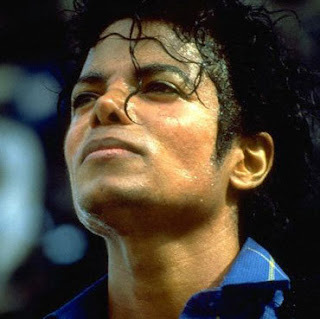 He also composed "We are the World" with Lionel Richie, which was the theme song for USA for Africa. MJ also collaborated with the other MJ, Michael Jordan, on the video for the song "Jam". And Michael Jackson eventually also bought the Northern Songs catalog, beating Sir Paul McCartney to ownership of the Beatle songs. Nice move, Jacko. There are a lot of scandals involving Jacko, but who wants to remember him for the bad stuff? Remember Michael Jackson for the nostalgia, and for the great music. And remember him for having the coolest songs in the Grand Theft Auto: Vice City soundtrack. I may just play the game again, if only to hear Billie Jean in its historical context, the light and happy eighties.